Materials: acrylic crochet yarn, ruffle yarn, 3.75mm hook, hair elastic. make a slip knot, place the knot into hair elastic, make a slip stitch, *add 5 loops from ruffle yarn on your hook, place your hook into hair elastic, yarn over and pull through 5 loops, yarn over and complete a sc*, repeat from * to * 26 times around. In the end, cut the yarns, finish your work and hide the tales. 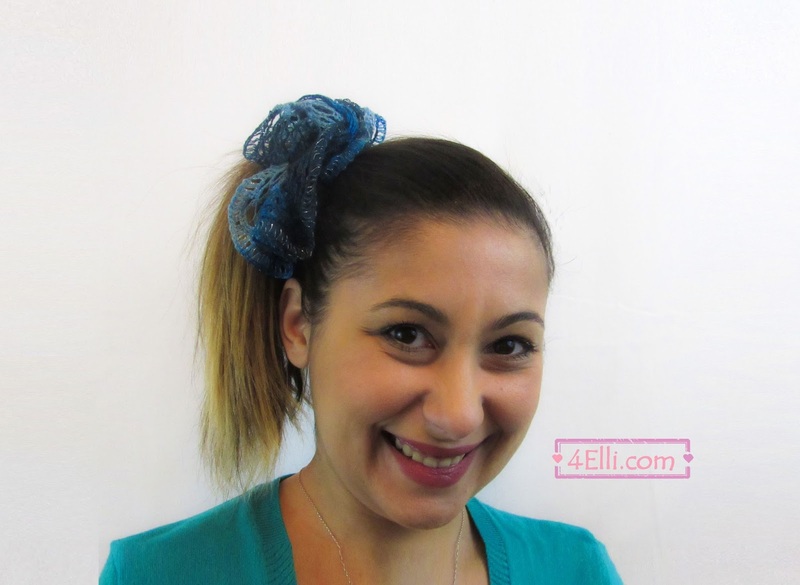 You can watch our video tutorial witch shows you how to make this beautiful hair elastic step by step.